Note: A minimum quantity of 552 must be ordered, and in units of 24 thereafter. 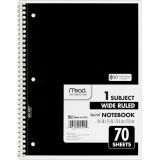 Mead Spiral Bound Notebook, Perforated, Legal Rule, 10 1/2 x 7 1/2, White, 70 Sheets - Back To School! 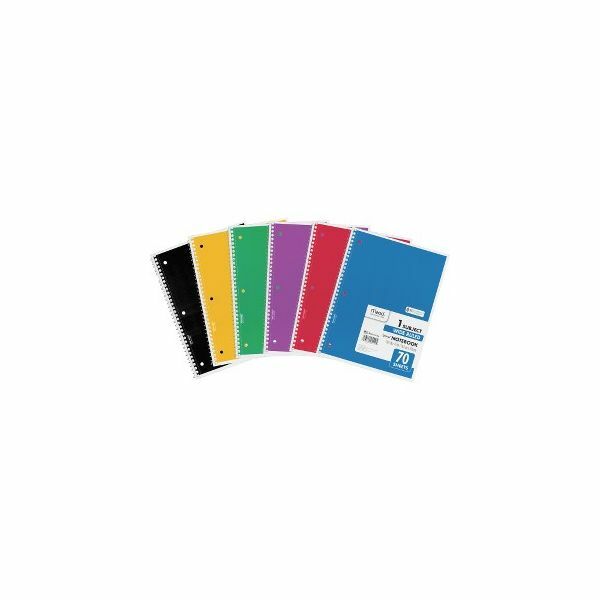 It's back to basics with this notebook that you can take with you in or out of a binder. 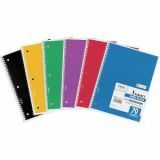 Ruled spiral bound notebook features heavyweight covers in six assorted colors: green, dark blue, purple, red, yellow and light blue. 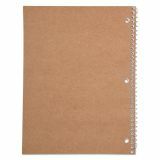 One-subject notebook has tan board back. 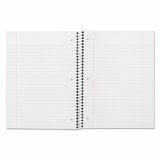 It’s versatile and perfect for a variety of uses including in-class notetaking and recording meeting notes. White paper; 70 sheets, 10 1/2" x 8" page size. Cover color cannot be guaranteed.